Linkin Park's Mike Shinoda talks more in a new interview about the future of the band and, even more, his own grieving process following Chester Bennington's death earlier this year. He explains that he's made it a point to share how he's doing on social media, especially when he feels like he's making progress. “Coping with the end of this chapter is obviously devastating, but at the same time, it's also the beginning of the next story,” Shinoda says. Linkin Park have yet to announce any future plans, but the band did share a heartfelt tribute to Bennington at their all-star tribute concert for Bennington, held back in October. They also released One More Light Live, which has let them relive some of their favorite moments with Bennington. “All six of us in the band were so proud of the shows on the One More Light Tour,” Shinoda told Billboard. “Everyone was at their very best, especially Chester. He was singing better than I've ever heard him on stage. The idea to release this album came from our fans and friends, and I’m so glad they asked for it. It's a really nice way to showcase what a special experience each night was. 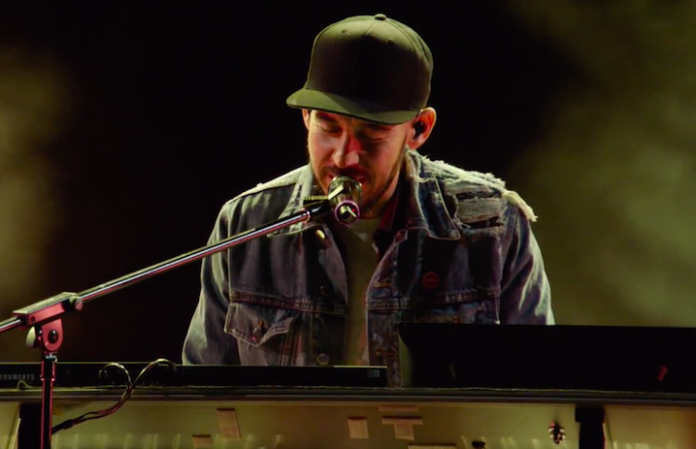 One More Light Live serves as a document of the group's final tour with vocalist Chester Bennington, who unexpectedly died on July 20 at the age of 41. In revealing the new live set, the band recall Bennington's determined artistry when recording their latest studio album. One More Light Live now available here. Check out the record's full tracklisting below.